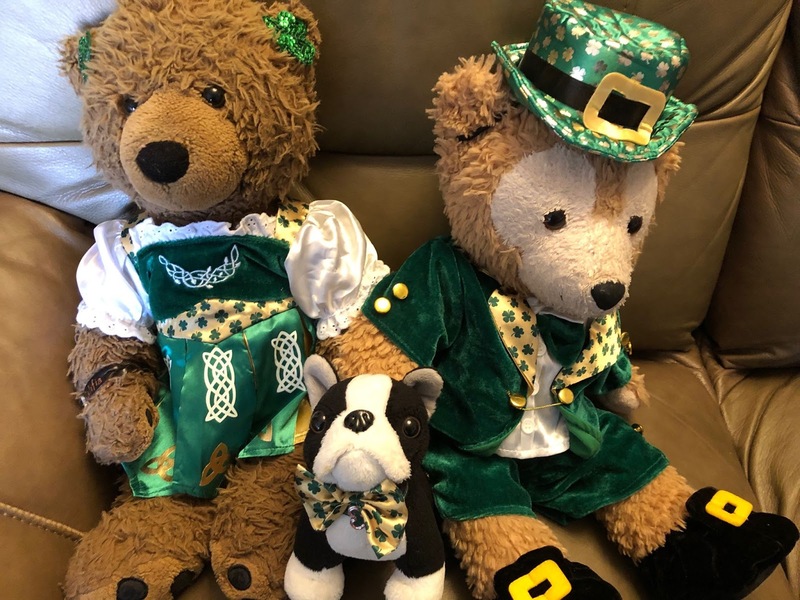 Mr Duffy, Sir Wellington, and I had a lovely St Patrick's Day. 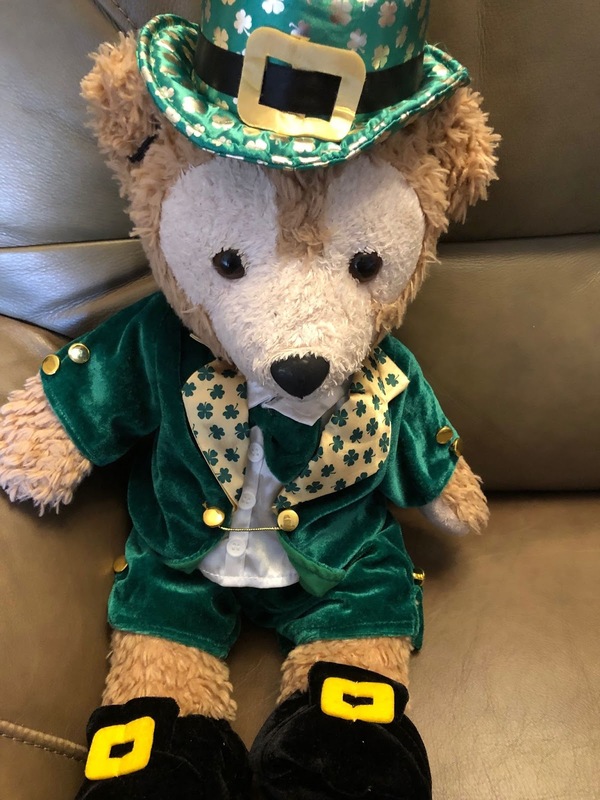 Mr Duffy looked snazzy in his leprechaun outfit. 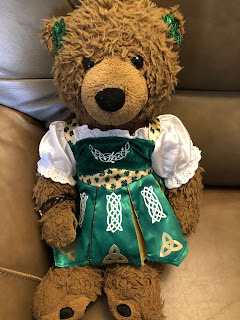 I had a matching pattern on my dancer's dress. 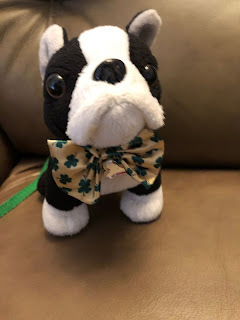 And Sir Wellington had a matching shamrock bow. We all got into the spirit! 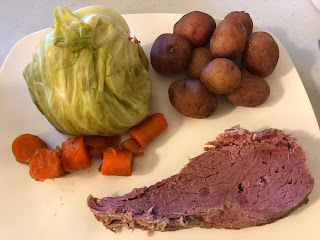 We had a delicious corned beef and cabbage dinner. I tried Irish soda bread for the first time. At first I was skeptical, I do like raisins but only in some recipes. But this was so good, it was like a dessert. We enjoyed our potatoes and other food while watching Waking Ned Devine. I enjoyed the calm, quiet afternoon while wearing my green. Any holiday that features potatoes on the menu is a great one for me. Ah, the first Marvel movie of the year. I didn't have any information about this character until just a few years ago. A friend gave me a graphic novel about the Carol Danvers version of Captain Marvel. 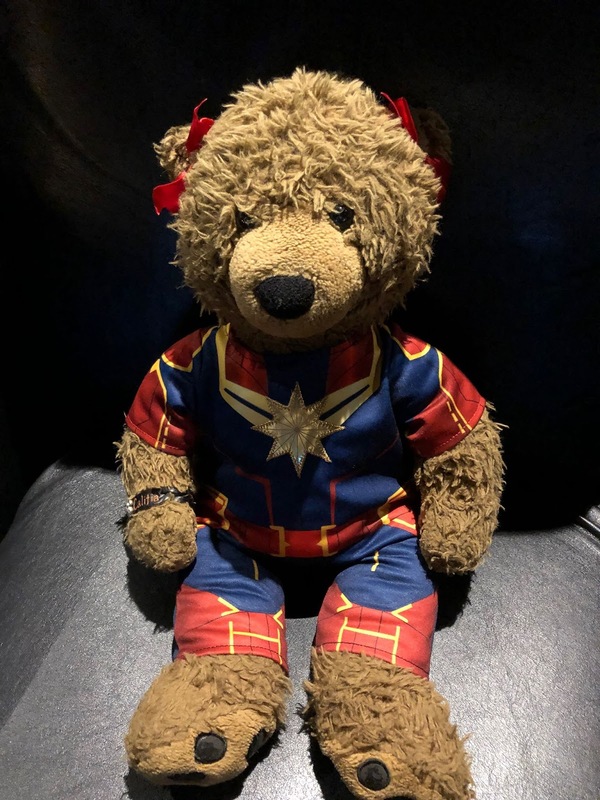 I know that 'Captain Marvel' has a history of being different people, and that the person who is currently Captain Marvel has had a couple of different identities. Confused yet? I might be. One thing in the movie that is different from the book is this cute little fuzzy critter. In the comics, the cat is named Chewie. 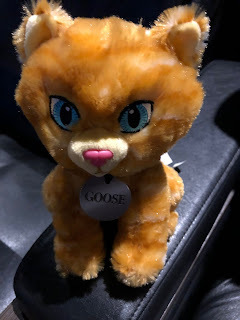 In the movie, her name is Goose. And she is definitely my favorite part of the movie. I really enjoyed the Captain Marvel movie. It did have a bit of a slow start, but it picked up and just got better by the minute. I loved the soundtrack, but I was disappointed that while the main character spent the majority of the movie wearing a Nine Inch Nails shirt, they did not actually have a song in the movie! I recommend that all lovies go see this movie. 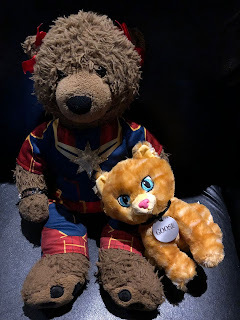 There is a lot of action, a bit of comedy, and it sets us up for the grand finale: Avengers Endgame. If you haven't seen this movie yet, what are you waiting for? And if you have already seen it, go again! And either way, read this spoiler-free review of the movie. Higher, further, faster! Today I walked to Half Moon Bay Brewing Company. I knew I wasn't going to get a "brew" because I don't like beer. But I was ready to check out their eats. They had steamed clams as an appetizer and that sounded tasty. It was! I shared the garlic bread so I didn't taste it. I'm told it was good. I ordered a burger for lunch and that was going to have a lot of bread, so I didn't want to fill up on the appetizer. I found this fish on the walk back to the hotel. There is this little indoor shopping center there, but many of the businesses were closed. They even have a taffy and candy shop which I was looking forward to. But it was locked up! So I didn't get any candy this weekend. I walked back to my hotel and stayed in for the rest of the night. I watched movies and shows and enjoyed just being there. I do really want to go back to Half Moon Bay, if only to visit their farms and nurseries. I would love to get fresh vegetables, flowers, and maybe a plant or two to have in my house. Until then. happy day.